Paint chemicals. Everyone at one time or another has walked into a room and smelled that newly painted smell. Sometimes it’s very strong and others not so much. Much of what you are smelling are VOC’s—volatile organic compounds. These are chemicals that off gas easily as paint dries/cures. Another way to think of it is these organic chemicals have a high vapor pressure at normal room temperature. They evaporate into the air. Some VOC’s pose a risk to your health. An example of a VOC found in paint is formaldehyde. We previously discussed the makeup of paint. The binder, solvent, pigment. Modern paint formulas are rather complex and require the addition of many chemicals. Chemicals are present in all three components. The Binder, the solvent and the pigment. Low or no VOC paints are not new. They are more common today then a few years ago. Are they safe? It can be argued that low VOC paints are safer then standard paints however it is important to know that some VOC chemicals are exempt from being classified as such according to the EPA. The rationale is based on the reactivity or size of the chemical. In addition, the classification as low or no VOC applies to the paint base. Once the paint is tinted the VOC content can rise substantially. 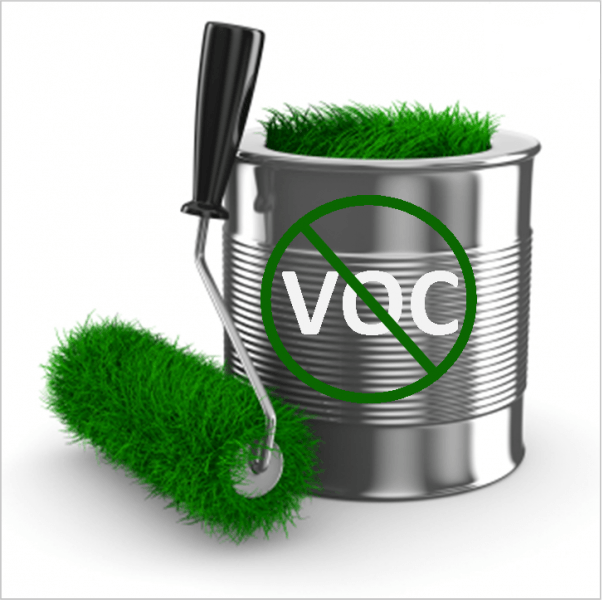 So why not just get rid of all the VOC’s? These chemicals give paint a lot of the qualities we look for like durability. I can quickly tell the difference between a low VOC paint and a standard paint when working with it and I don’t mean by the smell. People who routinely come into contact with VOC’s, like painters can experience damage to the nervous system, kidneys, lungs and liver. It’s all about the degree of exposure. Is it prolonged or seldom. Regardless of the type of paint you choose to use it is best to limit your exposure to it. Increase ventilation, open a window and allow the chemicals to dissipate.